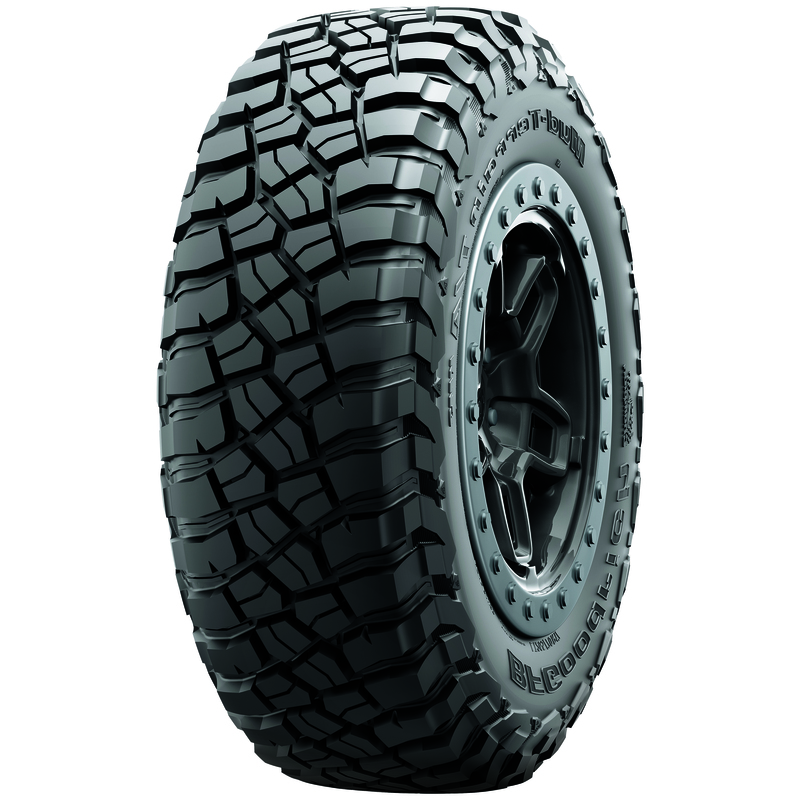 Power through mud and loose soil with our Terrain-Attack tread design. Its massive tread blocks are designed to deliver incredible grip from any angle of approach, and Mud-Phobic Bars release compacted mud for continued traction. Take on Earth's toughest terrain with advanced Krawl-TEK compound that enhances grip on rock and slick surfaces. Plus, a Linear Flex Zone allows the tire to flex and envelop objects in aired-down driving situations. Go places others only dream of, thanks to race-proven advancements. CoreGard Max Technology uses a thick sidewall shield and specialized compound to help guard against sharp objects, while Traction-Armor Sidewall Sculpture helps prevent sidewall splitting.